Christian communities throughout Palestine, which follow the Western calendar, have canceled Christmas celebrations and confined themselves to religious rituals and the Midnight Mass in protest against US President Donald Trump's decision to recognize Jerusalem as the capital of Israel. This comes amid a marked decline in the number of Palestinians who have come to Bethlehem to celebrate Christmas due to the Israeli roadblocks surrounding Bethlehem. Hundreds of Palestinians poured in from other West Bank cities and from the Green Line to Bethlehem until Sunday evening for Christmas celebrations held under tight Palestinian security. The first and last message at this year's Christmas ceremony is that Jerusalem is an occupied Arab city and the eternal capital of the state of Palestine. Christian leaders stressed, on Saturday, the centrality of Jerusalem to all three monotheistic religions, denouncing the United States for declaring it the capital of Israel. Speaking at a press conference in Bethlehem as Christians prepare to celebrate Christmas at the site where Jesus Christ is traditionally believed to have been born, Christian leaders said that without peace in Jerusalem, there will not be peace anywhere in the world. Sabah said that Jerusalem is holy for three religions: Christianity, Islam and Judaism, and capital of two states, Palestine and Israel. “The holy places are governed by the status quo, which should be respected,” he added, according to WAFA. Attallah Hanna, a Greek Orthodox archbishop, said that Christians are rejecting the US declaration on Jerusalem as Israel’s capital. Mitri Raheb, pastor of the Evangelical Lutheran Church in Bethlehem, accused US President Trump of stealing the Christmas festivities from the Holy Land with his declaration on Jerusalem. 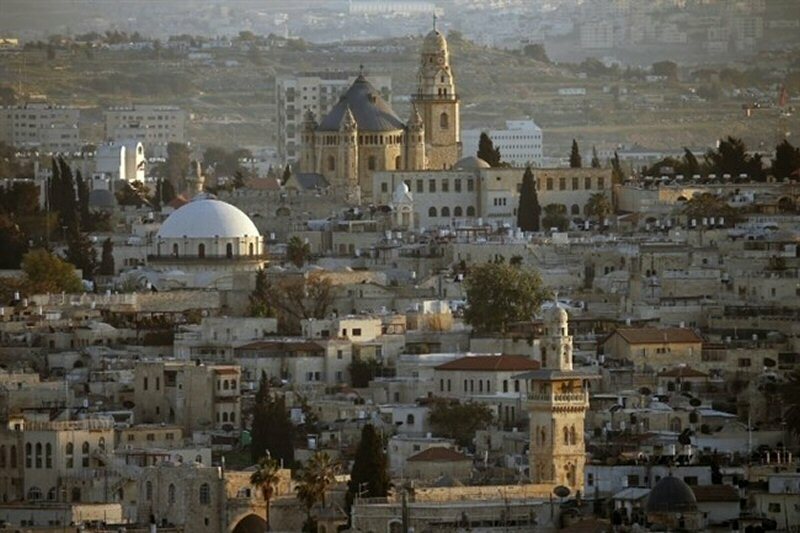 Nazareth mayor Ali Salam has cancelled all Christmas celebrations in protest at US president Donald Trump’s recognition of Occupied Jerusalem as Israel’s capital. “In light of the difficult moments which our people are facing and the decision that was taken by Donald Trump, we have seen fit to cancel all festivities because we are an inseparable part of the steadfast Palestinian people, Salam said in a press release on Thursday. “Our identity and faith cannot be bargained. The decision has taken away the joy of the holiday, and we will cancel the festivities this year,” he affirmed. 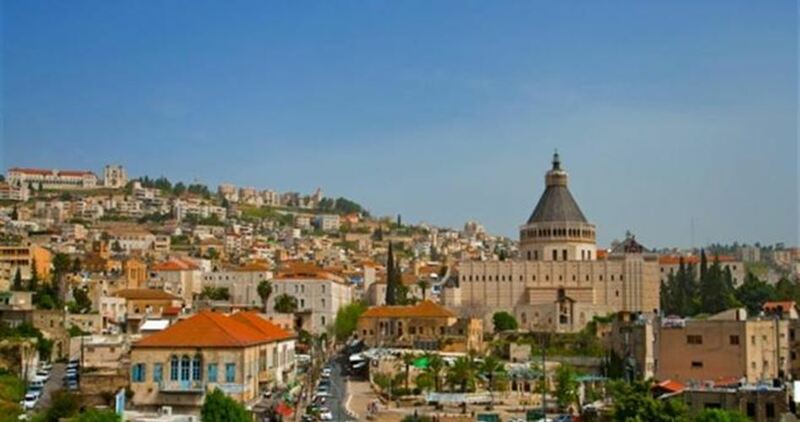 Nazareth city is one of the holiest cities for Christians, who believe the city is the site of the Annunciation, when Angel Gabriel informed Mary that she would give birth to Jesus. For its part, the Popular Committee for Advocating Jerusalem in Nazareth called on all Palestinians and supporters to participate in the pro-Jerusalem march to be launched on Friday afternoon from outside as-Salam Mosque in the city. 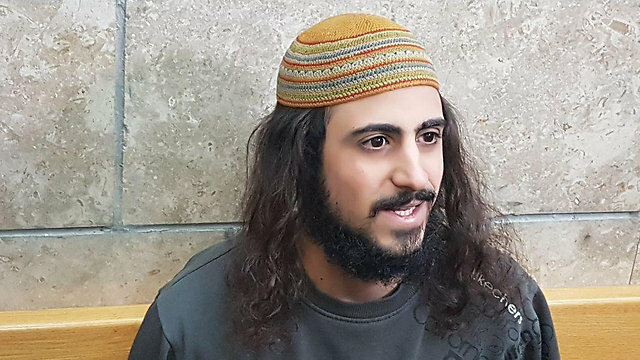 Jewish extremist Yinon Reuveni, convicted of setting fire to the Benedictine church, sentenced to 4 years in prison, 2 years of probation and ordered to pay NIS 50,000 in damages; lawyers says plans to appeal punishment and conviction. Jewish extremist Yinon Reuveni was sentenced to four years in prison on Monday after having been convicted of arson for setting fire to the Church of Loaves and Fishes, which is located on the shores of the Sea of Galilee in northern Israel. Reuveni was also given two years of probation and ordered to pay NIS 50,000 in damages. His lawyer, Itamar Ben-Gvir, said he intends to appeal both the punishment and the conviction. Ben-Gvir argued his client cannot pay damages, as he is being held as a Jewish security prisoner and not allowed to leave his cell, not even to work. Judge Georges Azoulay, however, rejected that claim. The Church of Loaves and Fishes, which is run by the Order of Saint Benedict, is considered one of the most important churches in Israel. Christians believe the church is built on the site where Jesus performed the Miracle of the Multiplication of the Loaves and the Fishes. It is a traditional site of pilgrimage in the Holy Land. In June 2015, Reuveni and several others torched the church, causing extensive damage to two rooms and the structure's exterior. Firefighters called to the scene managed to extinguish the flames just in time to avert what could have been far more damaging as they burned just meters away from the main hall of the church itself and its wooden ceiling. In addition to the fire, Reuveni also defaced the limestone wall with red paint denouncing the worship of idols. Two people, a young female pilgrim and a 70-year-old man, were wounded in the blaze from smoke inhalation. The arson led to widespread condemnation in Israel and abroad, with religious leaders of all faiths and denominations coming to Tabgha to show their support to the monks and to protest the arson. A security video showed a Subaru vehicle near the church at the time of the arson. The same vehicle was also spotted in a gas station's security cameras in the Latrun area, with Reuveni seen filling a bottle with gasoline. The bottle was later found at the scene. Police investigators also found gloves some five kilometers away from the church with Reuveni's DNA on them. Another defendant, Yehuda Asraf, 21, the owner of the car, was acquitted in June of charges of conspiring to commit a crime and aiding and abetting. The Shin Bet said Reuveni and his friends belong to an ideological group seeking to "change the government and bring closer the redemption," among others things by targeting Christian sites across Israel. Just days after the Christmas tree lighting in the birthplace of Jesus, Bethlehem, the lights on the giant Christmas tree were turned off at the request of local officials, to protest the US claim that Jerusalem is the capital of Israel. The ‘Christmas blackout’ protest also included the Christmas tree in Beit Sahour and the one in Ramallah set up next to the burial site of the late Palestinian President Yasser Arafat. This was a decision made by local officials, whose leadership is majority Christian. Palestinian Christian leaders have joined with Muslim leaders to condemn the U.S. President’s statement about Jerusalem, which was an unprecedented policy shift by a U.S. administration. The city spokesman said they may keep the blackout in place through Christmas. 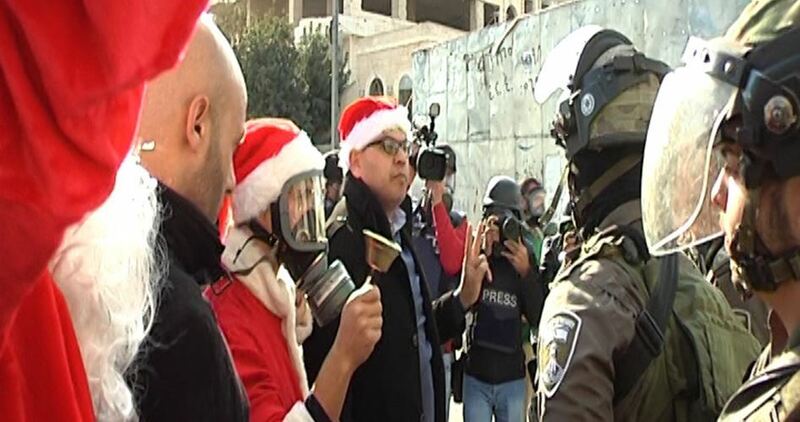 The annual month-long Christmas celebration was subdued in the past decade due to the Israeli occupation. But the last couple of years have been more festive, and this year was the largest Christmas tree lighting since before the second intifada began in 2000. Protesters marched through the streets of Bethlehem Wednesday after Trump made his speech declaring Jerusalem to be the capital of Israel, effectively annulling the rights of the hundreds of thousands of Palestinians that live in the city of Jerusalem, and denying the rights of Christians and Muslims to the city. 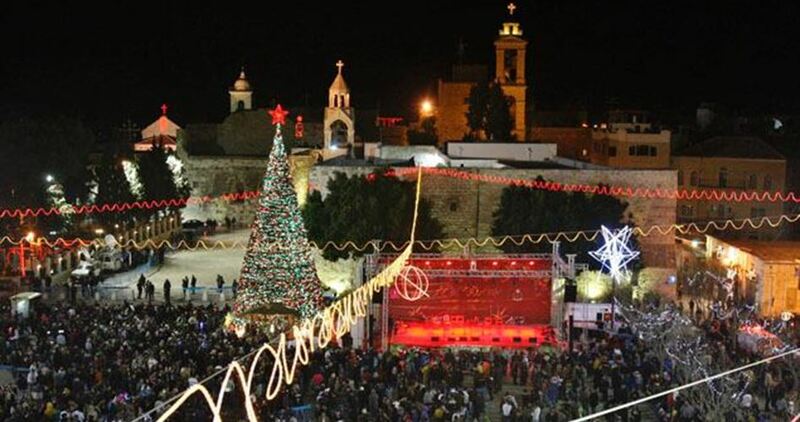 The Christmas tree was lit up on Saturday evening in Bethlehem’s Manger Square, in the presence of thousands of Palestinians and foreign visitors, who flocked to the city to celebrate the occasion. 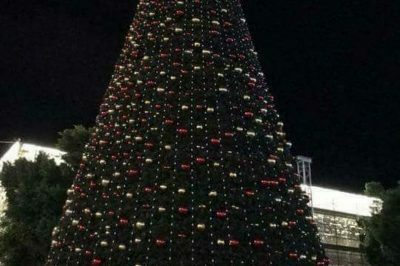 According to local sources, thousands of Palestinian citizens came from all occupied territories to attend the tree lighting ceremony and celebrate Christmas Eve. This annual event officially kicked off the Christmas celebrations in the city, which is believed to be the birthplace of Jesus. The ceremony was attended by Palestinian premier Rami Hamdallah and mayor of Bethlehem Anton Salman as well as Palestinian and foreign dignitaries. Haaretz newspaper reported that the Israeli Planning and Building Committee is set on Wednesday to approve a project for the construction of dozens of housing units on a Palestinian historical site in Abu Tor neighborhood in East Jerusalem. 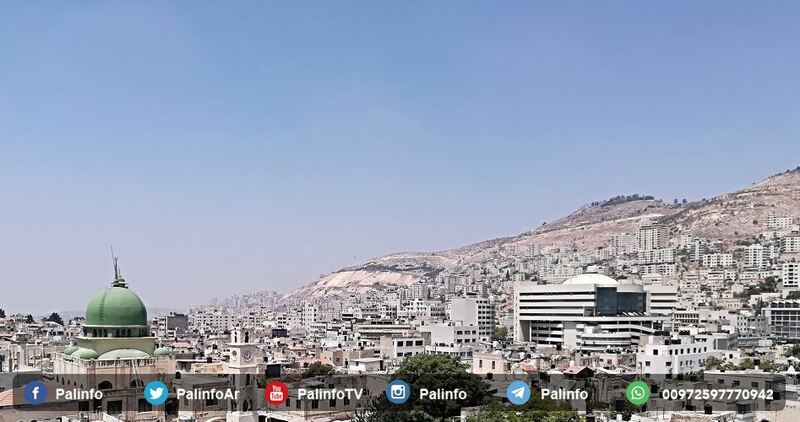 The Hebrew newspaper said that the project, which will be built on a hilltop overlooking the Old City, is expected to destroy the area and spoil the view of the Old City. 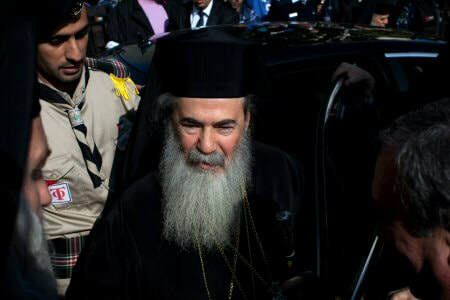 According to the paper, the Greek Orthodox Patriarch Theophilos III in 2013 sold property in that area to the Jewish-American businessman, Michael Steinhardt, and the Jewish-British businessman, David Sofer. It noted that the site is holy to Christians and Muslims and has great historical and archaeological significance especially that it contains archaeological remains, a number of churches, and Abu Tor monastery that was established during the World War II. The plan, which has drawn strong opposition from local residents, particularly Christians, includes the construction of two large six-floor buildings and three smaller ones with 61 luxury apartments in addition to a public park on about half of the area. Member of the Orthodox Central Committee, Uday al-Bagali, told the Hebrew newspaper that he does not comprehend how the Patriarch could sell this holy site that contains many important archaeological finds. Recent reports have revealed that the Patriarch sold a large number of real estate and thousands of dunums of land in Jerusalem, the West Bank and the 1948 occupied Palestinian territories to Jewish businessmen and associations at very low prices. Orthodox Christian properties in Jerusalem, Jaffa and Caesara are being sold at very low and questionable prices to companies in offshore tax havens. Documents obtained by the Israeli newspaper appear to show an unknown company purchased a three story office building on King David Street, in Jerusalem, for $850,000 – an area with prime retail spaces. Another deal has also included the sale of an area of 2.3 dunams (0.0023 square kilometres), in the Al-Baqaa neighbourhood of Jerusalem, for $350,000; an extremely low valuation for the highly sought after area. Elsewhere in the region, some six dunams (0.006 square kilometres), near the Clock Tower square in Jaffa and consisting of dozens of businesses, have been sold for a mere $1.5 million, and 430 dunams (0.43 square kilometres) in Caesarea, including large parts of the national park, were sold for only $1 million. Days of Palestine reports that, while the reason for the numerous sales and the low prices remain a mystery, sales records show that the areas sold have meanwhile been resold to another company, also registered in a tax shelter. As the purchasers are foreign companies in tax havens, it is impossible to acquire any information about the new owners. Consequently, thousands of Jerusalem residents are living in uncertainty regarding the tenures on their homes. Some have had difficulties selling their properties or even installing lifts in their buildings. This week, Greek Patriarch Theophilus III met with Pope Francis to express his concern at the Christian real estate situation. It is reported that the Patriarch is fighting against Israeli politicians who want to confiscate land in Jerusalem and the Israeli-Jewish organisation Ateret Cohanim that is trying to claim ownership of certain properties allegedly sold to it by the former Patriarch. However, the Theophilus III is also under fire from his community for the unexplained sales of what are considered trust properties. The Vatican responded to the request, saying it was available to follow the matters “in the most appropriate manner”.